Oil has a pull on the global economy, but which way? 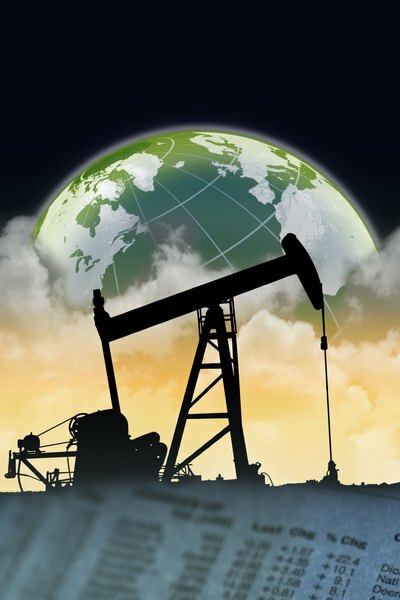 Oil forms one of the pillars of the global economy. It is absolutely critical to the functioning of the globalized world. Everything from making machinery move to plastics can be traced to oil or some byproduct. Oil makes its impact felt on almost every individual's life, and sends ripples through the stock market. The effect of oil is not in one direction though, and untangling all the effects is not easy. At the end it is tough to be sure if a specific effect is due to oil or some other factor. Oil is something of a basic good. It makes gasoline, heating oil, jet fuel, etc. All companies have to account for oil in one way or another. A delivery contractor might have to charge more to cover fuel costs. If the company is flying employees to meet customers the airline tickets could cost more. An increase in oil prices can reduce profits or deepen losses. Companies do not immediately increase prices just as expenses go up, because it can make competitors more attractive if they do not increase prices due to more efficient practices. When earnings come in, they could be lackluster and lower the price of stocks. Consumers have expenses tied to oil. The price of gasoline or electricity can increase. It becomes more expensive to go to work or the store. That means there is less money available to be spent by those consumers preventing them from buying that new TV or that new smart-phone. This hurts company revenues. The companies are seeing increased expenses and lower revenues. This hurts companies that sell products and services to consumers. Business demand is slightly more robust, but eventually oil prices might cause business customers to spend less. Earnings are again negatively impacted, possibly driving down share prices. Not all companies are as adversely impacted by rising oil prices. The cost of extraction from already tapped wells would not increase just because the market price increased. The spot price of oil is a function of supply, demand and investment vehicles. When prices are high, oil companies lock in supply contracts for that price. The cost of production might be very low, and this keeps profits high even after the spot price dips. That means that oil companies see fantastic profits and help their share prices. Oil companies are a component of indices and will have a positive impact on the overall stock market, though balanced against the damage to other companies. Since oil seems to raise costs for every participant in the economy it has an inflationary effect over the long term. The U.S. measure for inflation excludes oil, but since oil is important for the energy used in creation of goods and in their transportation eventually it creates ripple effects. Additionally, it becomes more expensive for individuals to go about their daily lives, and wages will have to compensate for this. Higher wages can cause inflation because it increases the cost of goods and services thus increasing inflation. Rising costs might put a downward pressure on profits hurting the stock market. Since stocks are a claim on real assets contained in a company the price can rise with inflation, because the market value of these assets rise. However, with extreme inflation stocks tend to fall not rise. Federal Reserve Bank of Cleveland: Do Oil Prices Directly Affect the Stock Market?